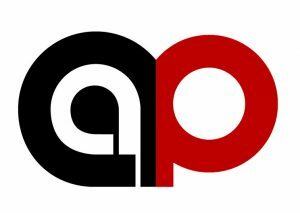 Founded in 1910, Associated Artists if Pittsburgh (AAP) enhances the region’s cultural vitality and promotes visual arts excellence by showcasing artists’ work through contemporary exhibitions, providing community-based education programs, and facilitating a broad dialogue to engage artists with one another and the community. 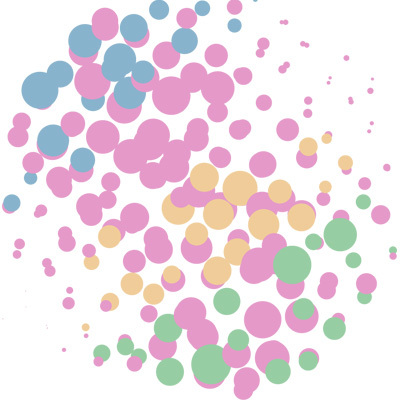 AAP is the second-oldest artist membership organization in the country. AAP organizes 5-10 exhibitions a year in various spaces throughout the region. The Craftsmen’s Guild of Pittsburgh is one of the region’s most venerable and respected arts organizations. 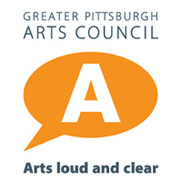 The Guild was founded in 1944 and has been a resident member guild of the Pittsburgh Center for the Arts for over 50 years. Our membership spans a diverse and talented array of approximately 150 skilled artists and craftspeople. The Guild’s signature event is one of Pittsburgh’s premier arts festivals: A Fair in the Park, held annually in September in Mellon Park, Shadyside. The Fair features about 100 fine artists/craftspeople from both the region and from throughout the country. Exhibitors are held to rigorous standards, and accepted applicants are required to have made all the work presented themselves. In addition, the Guild sponsors and promotes, both independently and in cooperation with its sister organizations (such as the PF/PCA and the Pittsburgh Cultural Trust), a number of other shows and exhibitions. The primary Mission of the Guild is twofold: 1) to act as an interface between craftsmen and the general public, whereby the Guild will inform and acquaint the public with the work and methodologies of craftsmen; 2) to develop and preserve excellence in craftsmanship in the region served by the Guild. To fulfill this Mission, the Guild will encourage and promote the highest standards of craftsmanship and artistry among its members, and in all events and affiliations associated with the Guild. These standards will be assiduously maintained through all aspects of the Program; also any opportunity to provide growth-nurturing instruction, mentoring or guidance / assistance to both members and the general community will be vigorously pursued. The Fiberarts Guild of Pittsburgh, Inc. is a nonprofit organization that promotes the appreciation of Fiber arts and fosters its development and continuation through member support and outreach. Formerly the Embroiderer’s Guild, the Fiberarts Guild of Pittsburgh has been affiliated with the Pittsburgh Center for the Arts since 1963. The Guild has evolved with the contemporary craft movement into an organization committed to the preservation, development and continued evolution of the broad range of fiber art. Fiber arts include, but are not limited to, basketry, beading, book arts, embroidery, crochet, felting, knitting, jewelry, mixed media, quilting, paper art, rug hooking, sculpture, surface design, stitchery, wearables and weaving. The Fiberarts Guild provides a support community for artists and others interested in the medium. An annual series of lectures and workshops fosters individual artistic growth and brings together people who seek to advance the field of fiber art and enrich the culture of our region. Regularly scheduled critique sessions provide opportunities for individual creative development. The Fiberarts Guild produces juried exhibitions of member’s work so that established and emerging artists may exhibit side by side. Fiberart International is the only on-going triennial open to textile artists everywhere in the world. Producing this prestigious exhibition, extends the Guild’s outreach beyond our region to a growing national and international audience. Freemuse is an independent international organisation advocating for and defending freedom of artistic expression. We believe that at the heart of violations of artistic freedom is the effort to silence opposing or less preferred views and values by those in power – politically, religiously or societally – mostly due to fear of their transformative effect. With this assumption, we can address root causes rather than just symptoms – if we hold violators accountable. Our approach to artistic freedom is human rights-based as it provides an international legal framework and lays out the principles of accountability, equality and non-discrimination, and participation. To accomplish such fundamental change, we monitor and document violations of artistic freedom, expose laws and policies that enable and sustain these violations, and leverage evidence-based advocacy for systemic structural changes at international, regional and national levels. Working with partners, artists and activists in the global south and north, we campaign for and support individual artists, focusing on women artists and other vulnerable groups of artists. We facilitate and grow locally-owned national coalitions in their campaigns and capacity building to monitor and defend artistic freedom. Pittsburgh Bike Share operates Healthy Ride. We are a small 501(c)3 non-profit located in the Strip District. Pittsburgh Bike Share constantly seeks feedback on the system through our customer service channels and community outreach. We hope to expand the Healthy Ride system in order to service additional Pittsburgh communities as well as install additional stations within our current network in order to make Healthy Ride convenient for all of our customers. The mission of Pittsburgh Bike Share is to expand access to public transit through easy-to-use, affordable active transportation opportunities. The Pittsburgh Polymer Clay Guild (PPCG) is a group of polymer clay enthusiasts who share a love for this medium. Our members have varying levels of expertise and experience. Our guild welcomes everyone from tentative beginners to professionals. Our mission is to advance knowledge and develop proficiency among Guild members in the use of polymer clay through the exchange of experience and ideas. We do this by supporting and enjoying each others’ talents through clay days, an annual retreat, workshops, group shows, and information sharing. Come visit and see what we’re all about. The Three Rivers Tool Collector’s Association is a non-profit organization formed in 1976 in Pittsburgh, Pennsylvania. We encompass the region of Western Pennsylvania, West Virginia and Eastern Ohio, but welcome like minded folks from any location. We are collectors, sellers, users and historians of all woodworking and metalworking tools of the past. The group continues to grow with people interested in the technology of the past, the people who played a part in the development of this technology, and their role in the growth of our country and our region. The Western Pennsylvania Woodworkers club is dedicated to the purpose of education, safety, and techniques in all areas of woodworking. Our membership includes about 100 amateurs and professionals from all areas of the woodworking crafts. Our mission is to educate, inform, and share woodworking skills, experiences, and ideas in an enjoyable environment. Monthly meetings are held generally on the second Saturday of each month where in addition to the main program, we exchange woodworking information, techniques, tips, designs, and ideas. The main program is a formal demonstration or presentation, usually by a member of the group. We suspend regular meetings for the summer months but sometimes hold a special meeting or field trip over the summer. Western Pennsylvania Woodworkers is a non-profit organization founded in 1980. New members and visitors are always welcome at our meetings. We invite you to join us to learn about woodworking, improve your skills and help us to improve ours. Our Mission The Western Pennsylvania Craftsmen’s Guild is a non-profit organization whose purpose is to preserve historic crafts and landmarks by showcasing master artisans with years of experience. Who We Are The Guild maintains an online gathering place where clients can find qualified craftsmen. This resource is intended to benefit the historic properties, the clients, and the craftsmen alike. This referral service is free: the Guild accepts no fees or commissions. The Western Pennsylvania Craftsmen’s Guild was only recently founded, yet many of the members have been practicing their crafts in Western Pennsylvania for 10 to 20 years. Thank you for visiting us. The Western Pennsylvania Craftsmen’s Guild wants to make it easier for you to find these special people and employ their talents. Please explore our site and meet the Craftsmen who can make your project a success.